Robert A. Heinlein: In Dialogue with his Century: 1948-1988 The Man Who Learned Better: The real-life story of Robert A. Heinlein in the second volume of the authorized biography by William H. Patterson! 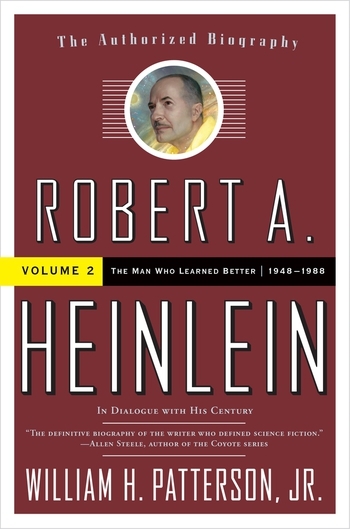 Robert A. Heinlein (1907–1988) is generally considered the greatest American science fiction writer of the twentieth century. His most famous and widely influential works include the Future History series (stories and novels collected in The Past Through Tomorrow and continued in later novels), Starship Troopers, Stranger in a Strange Land, and The Moon is a Harsh Mistress—all published in the years covered by this volume. He was a friend of admirals, bestselling writers, and artists; became committed to defending the United States during the Cold War; and was on the advisory committee that helped Ronald Reagan create the Star Wars Strategic Defense Initiative in the 1980s. Heinlein was also devoted to space flight and humanity's future in space, and he was a commanding presence to all around him in his lifetime. Given his desire for privacy in the later decades of his life, the revelations in this biography make for riveting reading. WILLIAM H. PATTERSON was a lifelong devotee of the works of Robert A. Heinlein, and was chosen by Virginia Heinlein to write Robert Heinlein's official biography. He died on April 22, 2014.